Zahedi, M., khodabandelou, R., Mehran, G. (2019). Community of Inquiry and Perceived Learning: A Study of a Blended Learning Environment. Iranian journal of Learning and Memory, 1(4), 1-1. Mohammad Hadi Zahedi; Rouhollah khodabandelou; Golnar Mehran. "Community of Inquiry and Perceived Learning: A Study of a Blended Learning Environment". 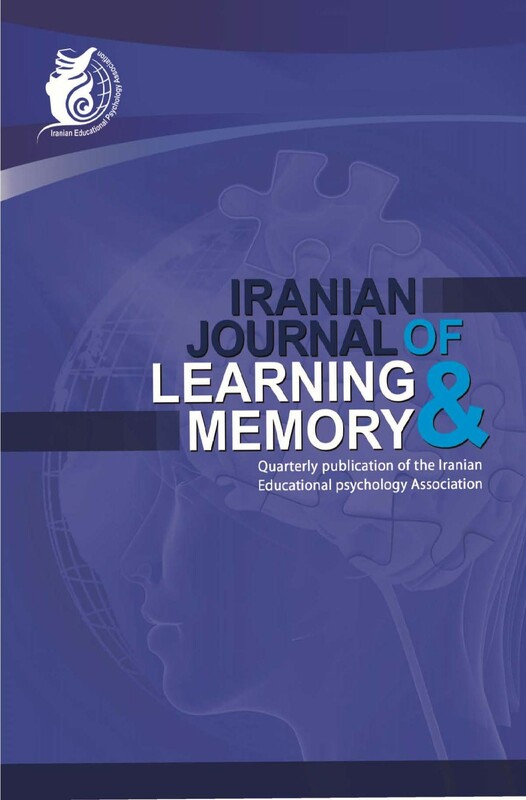 Iranian journal of Learning and Memory, 1, 4, 2019, 1-1. Zahedi, M., khodabandelou, R., Mehran, G. (2019). 'Community of Inquiry and Perceived Learning: A Study of a Blended Learning Environment', Iranian journal of Learning and Memory, 1(4), pp. 1-1. Zahedi, M., khodabandelou, R., Mehran, G. Community of Inquiry and Perceived Learning: A Study of a Blended Learning Environment. Iranian journal of Learning and Memory, 2019; 1(4): 1-1. The initial proposed the Community of Inquiry (COI) framework suggests social presence, teaching presence, and cognitive presence are essential dimensions to promote successful learning experiences in higher education blended learning environments. As educational model the community of inquiry and its dimensions help educators to apply the findings of the research in practice. The objective of this quantitative study was to explore the relationship between three dimensions of community of inquiry and perceived learning among higher education students in a blended learning environment of Malaysian university. Descriptive method was the nature of this study. 150 blended learning higher education students were chosen through convenience sampling and surveyed. Two questionnaires were used to test the degree of students’ perceived learning and the components of the community of inquiry model. The results of the study showed that there is statistically significant relationship between three dimension of community of inquiry and perceived learning. Moreover, the cognitive component is more predict the students’ perceived learning.